Recreating the original healthy state of your natural teeth. In Restorative Dentistry, one size does not fit all. Each case is unique. Restorative Dentistry is the process of reinstating your original teeth back to their natural, healthy state. 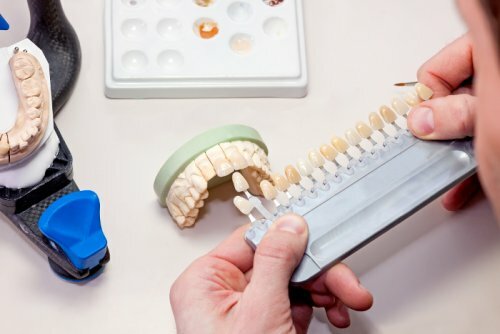 By using various Restorative Dentistry techniques and a variety of modern devices, your teeth can be restored to blend in perfectly with the surrounding teeth. Our dentists at Buhite & Buhite DDS are experienced in Restorative Dentistry and can restore your own, natural teeth. With the wide range of prosthetic devices that are available now, you can be sure we will find the right solution to fit your needs. With Restorative Dentistry, we can use full or partial dentures, bridges, crowns, caps, and bonding to restore your teeth and make them look as good as new. Considering the wide variety of prosthetic devices available now, you can be sure that you will get a custom-made appliance that best answers your specific needs and solves your specific problems. Whether from disease, malnutrition or genetic disorders, sometimes it is sometimes necessary for us to remove all of a patient's lower or upper teeth. While this can be devastating, dentures can provide a second chance at a beautiful smile. Having complete dentures helps with chewing as well as supports one's facial structure and improves speech. With immediate dentures, you can have a full set of teeth while you are waiting for your gums to heal and your bone to realign after having teeth removed. This can take up to six months, so immediate dentures are a great alternative during that time. Sometimes, complete dentures are not necessary. Partial dentures can replace a number of missing teeth, and are secured to your remaining teeth with clasps. Clasps can be clear, tooth colored or metal for added strength. No matter which kind of dentures are for you, you can be assured to receive natural-looking dentures that match your facial structure and desired tooth color. 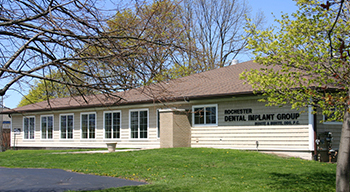 For more information on restorative dentistry including dentures, please call 585-342-1323 or send us an email today.